The organization also opened up online voting for the People’s Choice Adventurer of the Year, which will run through Jan. 31, 2016. 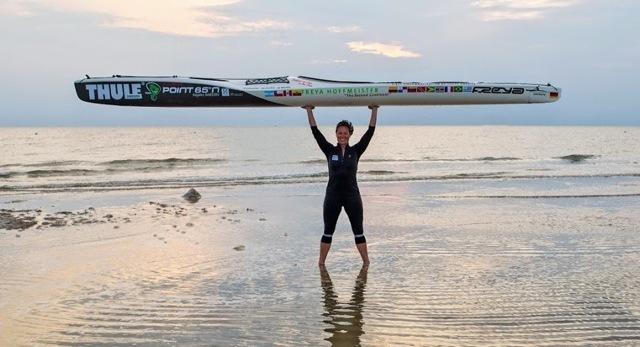 Last year, Polish kayaker Aleksander Doba won the honor after, at age 67, spending six months paddling 7,716 miles across the Atlantic Ocean in the longest open-water kayak crossing in history. Fans can go HERE to vote every day for their favorite honoree. The adventurer with the most votes at the end of the voting period will be announced in February. >> American ultrarunner Scott Jurek, who capped a 20-year career in trail running with a speed record on the iconic Appalachian Trail.